Really, I'm serious. There isn't much to see here. 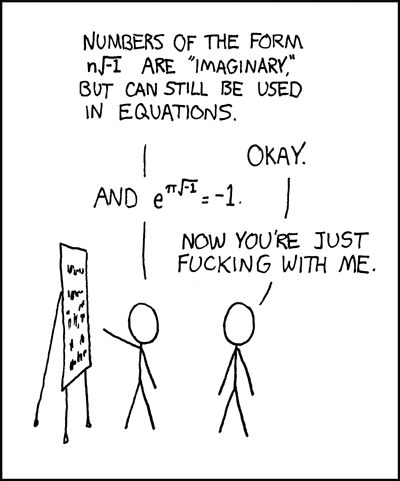 Except for this XKCD comic. Alright, there is something to see here. I have a blog in case you read German. Some contact information can be found on my professional homepage in case you're interested. Oh, and did you know I'm also a fire dancer? I'm doing shows with Foyk and the Magnetic Madness Ensemble in case you want to book me.